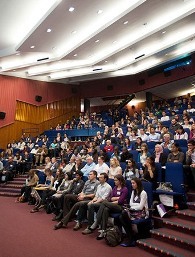 On Thursday 23 June, the Graduate School’s annual Doctoral Research Conference will take place in the Palmer Building. This event brings together doctoral researchers from across the University and showcases the diverse range of research undertaken at Reading. One of the most popular parts of the conference, the Three Minute Thesis Competition, this year features 12 finalists, with talks on research topics ranging from Cornish art colonies to food security. In the Palmer Foyer and ground floor rooms, there will be a display of the entries to the Research Poster Competition and the Research Image Competition. The overall competition winners and the PhD Researcher of the Year will be announced at the end of the conference. However, the Three Minute Thesis Competition, Research Image Competition and Research Poster Competition all have ‘People’s Choice’ awards, allowing conference delegates to vote for their favourite entry in each competition. The winners of these awards will be announced the following week on the Graduate School website and Facebook page. Good luck to everyone taking part in the conference and we hope to see many of you there in the audience. You can still book a place via the RISIS web portal.